The Los Altos downtown survey shows that residents have evenly split opinions about the key decision issue for the city: if the city needs to improve parking and what kind of parking the city should buy and/or build. Also when it comes to getting resident validation for downtown State and Main height zoning – there isn’t any. Until recently there was supposedly a majority of “people” who want the core downtown to stay 1 and 2 story and who say no to parking changes. The City did this survey to corroborate that fact. But the survey failed to do so. 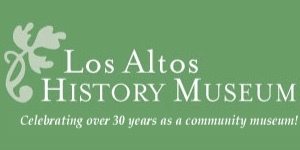 The survey is projected to the universe of 21,719 adults over 18 and older who are residents of the City of Los Altos. But in fact, of the 413 phone calls, 367 were made to the Los Altos Voter File. 105 calls were made to non-voter residents by referring to landline and cell phone directories. People who only voted in the distant past, say before 2006, are not on the voter list. The subsample of 105 is meant to capture opinions of resident aliens who can’t register to vote but who live and shop here. Presumably this sample would also pick up younger residents. The sample of 414 – based heavily on the City voter file – is an ok sample universe for the purposes of letting Los Altans “vote” on having the city use tax dollars for parking structures and paving, but not for deciding what kind of “mall” downtown should be and should look like. To decide those questions, one should survey all users of downtown. That means people within, say, a ten mile radius. That includes people who vote in or just live in the City of Los Altos Hills and the surrounding county and so on. What brands do they want? Do they like walking through multi-story? Must they have surface parking? Do they wish they could locate their company in Class A office space real close to their home in the Hills? Council seemed genuinely surprised not to have their pre-suppositions supported by the survey numbers. They do sincerely want to serve all the people, or at least the majority. They had thought that they knew who the majority is. 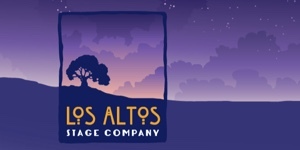 Like the rest of the country, Los Altos looks split in two. Pity the poor November City Council candidates. The Los Altos City Council received the survey report and data a few days in advance of the June 26 meeting. But the council meeting was their first opportunity to hear Godsbe Research present the results and to ask substantive questions. We concur with Council Member Megan Satterlee that there are probably only “4 or 5 bright line takeaways” that jump out conclusively. Much of the rest is, as Mr. Godsbe said, not statistically significant and more like “focus group” color. Ron Packard observed that, for the vast majority of residents, ‘Downtown’ is not an important part of their delight with living in the City. [Heck, we all drive to Mountain View and to the two Palo Alto downtowns all the time for that variety we crave.] And delight with the City is as high as in Atherton. Both cities show that 96% are very or extremely satisfied with living there. Mr. Packard also observed that the survey says parking is NOT a problem for the majority, and perhaps nothing much needed to be done about it. The survey did not support the idea that adding a lot of parking, at high cost, would increase visits to downtown. However, as Mr. Fishpaw observed, the parking causation model was perhaps being misspecified: he proposed that a) more parking b) attracts more variety of and better retailers c) the new variety and quality will attract an influx of visitors to fill the new expensive parking. LALAHPOLITICO: This post is our first thoughts on the survey results. Clearly downtown Los Altos needs to establish a Downtown Assessment Benefit Area to pay for any possible parking improvements and flower pot maintenance and such. The general citizen shouldn’t be picking up the tab for the “mall.” And the City and Council should stop trying to run the mall. They have no talent or expertise for that job. Cities need regulation, but not this much. The full survey report can be downloaded here as a .pdf file. Technically we give the survey 4 out of 5 stars. The sample procedure was good enough for thinking about how Council might shape decisions on downtown parking and zoning; bottom-line is they need to rethink what they believed. [The sample was not good enough for decisions about how to run the mall.] Questions were generally fairly worded with one glaring exception: what is the “look” of downtown? Lowrise? Neo-Spanish colonial? Atomic 50’s? Trailer park? Hodge-podge? Awning town? Strip of shops with surface parking? Two grocery stores? My idea of the “look” is not your idea of the “look,” and my husband would not see anything at all! Throw that question out please. What is the “look” of downtown? Lowrise? Neo-Spanish colonial? Atomic 50’s? Trailer Park? Hodge-podge? Awning town? Strip of shops with surface parking? Two grocery stores? Takeaway: Resident opinion is split evenly on parking and on the heights downtown. Downtown is not all that important to most residents. LALAHPOLITICO: Based on LALAHPOLITICO’s page hits, we think that at most 10% of the people care much about downtown. 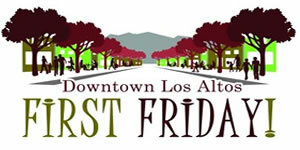 Downtown Los Altos exudes a culture of leisure, not a culture of work. Maybe that’s why it’s not important? A resident can get their work and leisure needs met in Palo Alto and Mountain View – those are as close or closer than downtown Los Altos which provides only leisure. Location, location, location. The number one reason to buy in the bedroom community of Los Altos is to have a nice house that is short commute to high-paying jobs in the valley.